For Round 2, we’ve got something you’ve probably only seen in the movies! Utah Duelist Corbin Diez is using Cubics, the monsters we saw Aigami use in the Yu-Gi-Oh! : The Dark Side of Dimensions film. He’s up against Alessio Giordani, who made the trip here all the way from Italy! Giordani is a top YCS competitor, having made the top cut more than once. He’s using True Draco in this event. OK, so he meant “rogue” instead of “rouge”. It’s the thought that counts! Will the prophecy be fulfilled? It’s time to Duel! Diez won the dice roll and chose to play second. Giordani began with Upstart Goblin, then Pot of Duality. He revealed Forbidden Chalice, Disciples of the True Dracophoenix, and Terraforming. He took Terraforming, which grabbed Dragonic Diagram. He activated Diagram and Set True Draco Heritage, then destroyed Heritage with Diagram to get True Draco Apocalypse. He Set it, and played another Diagram. It destroyed Apocalypse, adding a Heritage to his hand. He activated Heritage to draw two cards. He played Pot of Desires, then Tributed Heritage to play Majesty Maiden, the True Dracocaster. He Set a monster and a back row card. 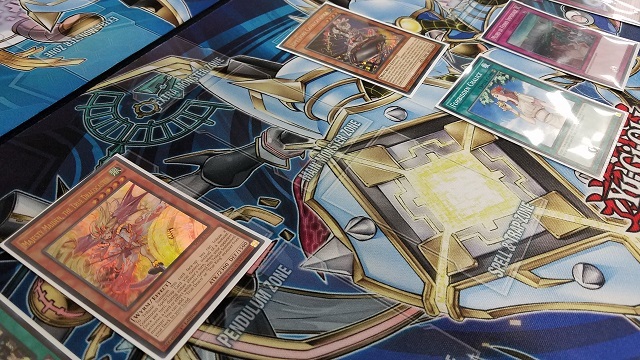 Diez had a hand of 2 Buster Gundil the Cubic Behemoth, Unification of the Cubic Lords, Cubic Wave, Duza the Meteor Cubic Vessel, and PSY-Framegear Gamma. He Normal Summoned Duza, sending Cubic Karma to the Graveyard, and Giordani used Majesty Maiden to add Master Peace, the True Dracoslaying King to his hand. 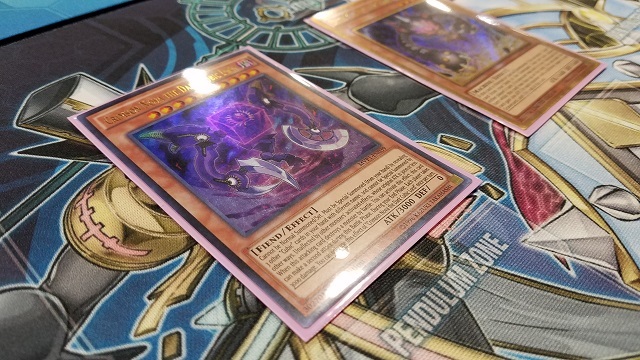 Diez banished Karma from his Graveyard to add Crimson Nova the Dark Cubic Lord to his hand, then Special Summoned it by revealing three Cubic cards from his hand. He played Cubic Wave to double the ATK of Crimson Nova and halve the ATK of Majesty Maiden. Crimson Nova wiped out Majesty Maiden and dealt 4700 damage! Crimson Nova attacked again, destroying the Set Amano-Iwato. Duza attacked directly. In the End Phase, Crimson Nova’s effect dealt 3000 damage to each player, wiping out Giordani’s last Life Points! It’s looking a lot like Diez’s prediction will come to fruition! Giordani chose to play first. He played Inspector Boarder and Pot of Desires. He Set three back row cards to finish. Diez had a hand of Indiora Doom Volt the Cubic Emperor, 2 Magical Spring, Crimson Nova the Dark Cubic Lord, Buster Gundil the Cubic Behemoth, and Unification of the Cubic Lords. He Special Summoned Crimson Nova. It attacked Inspector Boarder, and Giordani flipped True King’s Return. Then, in the Damage Step, he used True Draco Apocalypse to win the battle, destroying True King’s Return. In Main Phase 2, Diez played Magical Spring, drawing Cubic Wave and discarding it. Giordani attacked directly with Inspector Boarder. He Set two more back row cards to empty his hand, then used Card of Demise. He activated Dragonic Diagram, destroying a Terraforming in his hand (he couldn’t destroy his Spell or Trap Cards due to the effect of Magical Spring) to search out Majesty Maiden. He Tributed Apocalypse to play Majesty Maiden, and Set his last card in his back row. Diez drew Pot of Desires. Giordani flipped Imperial Iron Wall, and Diez played Magical Spring in response. He drew Unification and Crimson Nova, discarding Unification. He Special Summoned Crimson Nova and attacked Majesty Maiden. Giordani flipped Apocalypse, destroying Majesty Maiden in the Damage Step. Giordani played Disciples of the True Dracophoenix, returning Majesty Maiden, True King’s Return, and Apocalypse to the Deck to draw a card. He sent Inspector Boarder to attack the weakened Crimson Nova. Diez drew Foolish Burial Goods. He activated it, sending Cubic Karma to the Graveyard. Giordani used Diagram to destroy his Set Pot of Desires, getting Majesty Maiden to his hand. Terraforming was activated next, searching for a new Diagram. He Tributed Disciples to play Majesty Maiden and attacked, using Forbidden Chalice to boost his Maiden’s ATK and even the score! Diez’s prediction suffers a setback in Duel 2! 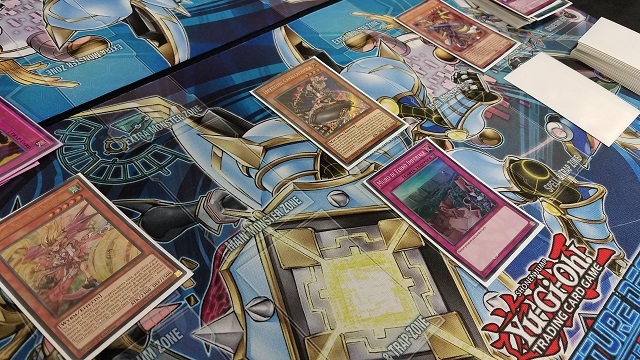 Diez started the final Duel with a hand of Galaxy Cyclone, Unification of the Cubic Lords, Geira Guile the Cubic King, Dark World Dealings, and Cubic Wave. He played Dealings to draw Duza the Meteor Cubic Vessel, and discarded Unification. Giordani discarded Majesty Maiden after drawing a card. Diez played Duza, which sent another Unification to the Graveyard. He Tributed Duza to Special Summon Geira Guile in Defense Position, dealing 800 points of damage. Diez used both copies of Unification in his Graveyard, banishing them to Special Summon two more copies of Duza. Each of them activated, sending Unification and Cubic Karma to the Graveyard. He banished Karma from the Graveyard to add Buster Gundil to his hand. He used both Duzas to Xyz Summon Tornado Dragon in Defense Position. Giordani used Terraforming to get Dragonic Diagram, then played Pot of Duality to get Inspector Boarder. He Normal Summoned Boarder, Set a back row card, and activated Diagram. Diez responded with Tornado Dragon, but Giordani had Forbidden Chalice to negate it! Diagram destroyed the Set Apocalypse, getting Heritage to his hand, and the destroyed Apocalypse took out Tornado Dragon. He played Heritage, Set one card in his back row, and played Card of Demise! He activated a new Diagram, which destroyed Heritage to get another copy of Heritage. He activated that and drew two cards. Inspector Boarder attacked Geira Guile, and Diez used the effect of Unification in the Graveyard to Special Summon Indiora Doom Volt the Cubic Emperor. Giordani filled the rest of his back row, and discarded a Heritage in the End Phase due to the effect of Card of Demise. Diez drew Pot of Desires, but Giordani flipped Imperial Iron Wall in the Draw Phase! Diez played Galaxy Cyclone to destroy a Set Pot of Duality. He played Cubic Wave to halve the ATK of Inspector Boarder. Giordani used Diagram to destroy the Upstart Goblin he just drew, adding Disciples of the True Dracophoenix to his hand. He played it, returning Heritage, Apocalypse, and Majesty Maiden to his Deck to draw a card. He flipped Apocalypse, destroying Disciples. 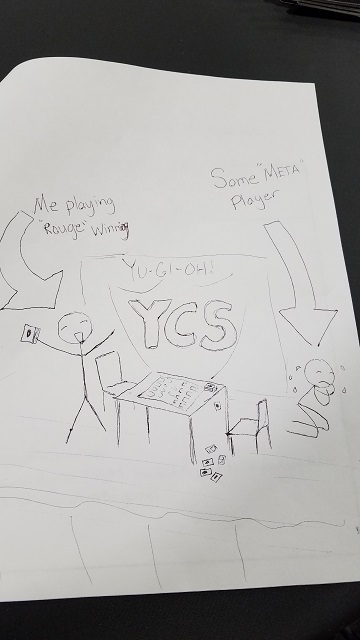 He then used Heritage to draw a card. He played Terraforming, getting Diagram, and activated it. He Set his last card, True King’s Return, in his back row, and had Diagram destroy it. He added Majesty Maiden to his hand, and Return destroyed Geira Guile. He Tributed Heritage to play Majesty Maiden, and attacked with Majesty Maiden and Inspector Boarder. Diez drew Reasoning! He smiled and activated it – Giordani checked the Graveyard to try and figure out what he should guess. He chose Level 4 – Diez’s next card was Vijam the Cubic Seed! He Special Summoned it in Defense Position. Giordani used Diagram’s effect, then Chained Forbidden Chalice from his hand to negate Vijam! Diagram destroyed Chalice, getting Ignis Heat, the True Dracowarrior. He Tributed Apocalypse to play Ignis Heat, and Apocalypse destroyed Vijam. He attacked with his monsters, taking the Duel and the Match! Alessio Giordani comes out victorious with True Draco, defying Corbin Diez’s initial prediction!